Do you love experiencing the internet only through the foggy, noisy lens of Facebook? How about only reading things on Twitter or peeping links on Pinterest or stalking friends on Instagram? Then you're going to love Sprint's new hyper-focused data plans. For $12 a month, you can use one of the services as much as you want. But only one. That's right. 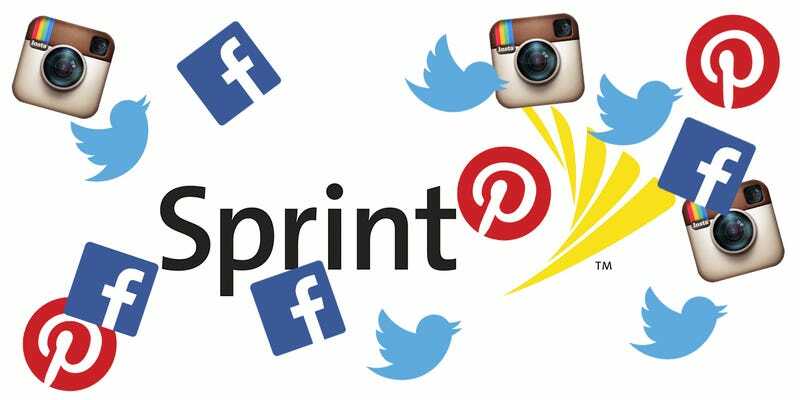 Sprint is offering a new prepaid data plan for Virgin Mobile customers that will give them unlimited access to Facebook, Twitter, Pinterest, or Instagram. For an extra $10 a month you can get all four. But if you'd like to Google something or visit the front page of your favorite tech blog, you're screwed. Because that part of the internet (read: basically all of the internet) will be unavailable to you unless you buy a full data plan or connect to Wi-Fi. While the option is only being offered to Virgin Mobile customers now, Sprint says, "This is really just part of a broader effort toward customization." So it could be coming to all Sprint customers in the foreseeable future. The idea makes a little bit of sense if you're a superfan of social media and can't afford the full data plan. However, it's also at odds the fundamental idea that all traffic on the internet should be treated equally. While the net neutrality debate has so far centered around the idea of internet service providers prioritizing certain types of traffic for a fee, offering highly restricted access to the internet like Sprint is now doing sets a dangerous precedent. The fact that customers opt in to the plan makes it somewhat less egregious than paid prioritization, but it goes against the spirit of net neutrality nevertheless. And as we've said time and time again, a future without net neutrality is a pretty grim one.